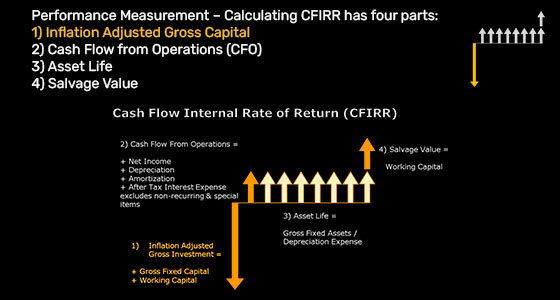 The crux of our methodology is a unique performance measurement called Cash Flow Internal Rate of Return (CFIRR). CFIRR addresses many of the shortcomings of traditional performance measurements such as Return on Equity (ROE), Return on Assets (ROA) and Return on Invested Capital (ROIC). 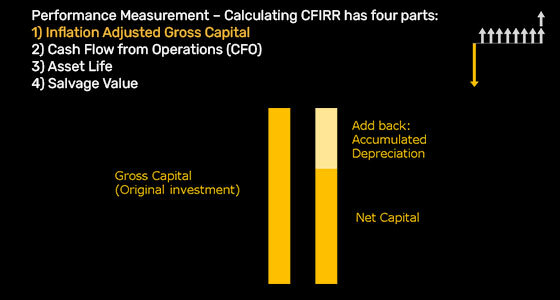 In principle, CFIRR measures the return on capital but has distinct advantages over traditional return on capital measures. Interestingly, the acronym RoC in our monthly "The RoC Report" stands for Return on Capital and was developed as a marketing term that was simpler and more effective than "The CFIRR Report." In our own reports, the term "return on capital," or simply the term "return," is used interchangeably with CFIRR. 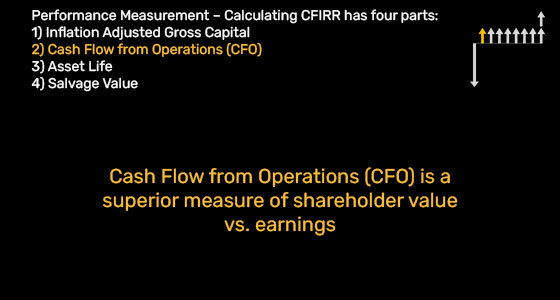 However, in studying the details of the methodology it is important to make the distinction between CFIRR and traditional return on capital measures. CFIRR should be viewed in context of capital growth and the cost of capital. We will discuss this further after we discuss how we calculate CFIRR. These two methods will always reconcile. The first adjustment to invested capital is to use GROSS investment - not the NET investment. In other words, accumulated depreciation is added back to the net investment to get gross investment. This is done to calculate the return on total original capital contributed to the business. Investors are interested in a “real” return not a nominal return. Since cash flow and earnings are in today's dollars, it is necessary to adjust the gross investment into today's dollars that is carried on the balance sheet at historical costs. To clarify why this is important, consider a period of high inflation vs. low inflation. A company's cash flow from operations will be much higher during high inflationary periods compared to in low inflationary periods, but it is not attributable to real improvements in the business but rather inflation. Cash flow from operations is the after tax cash flow accruing to capital providers in a given year. It's the amount of money management can spend on new projects, pay dividends, etc. By contrast, you can't spend earnings, and therefore, cash flow is a better measure of value. Moreover, earnings are more easily manipulated by accounting policy whereas cash flow is not. 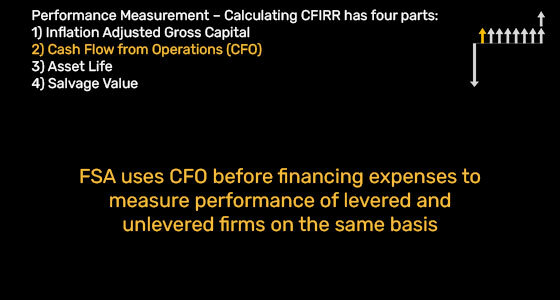 It should be noted that CFO is a pre-interest measure of profitability to facilitate the comparison of firms with different degrees of leverage. Using post-interest measures of profit negates this and makes leveraged firms appear less profitable. Also, since interest is tax deductible, interest payments must be tax-effected when a post-tax measure of profits is used. CFIRR adds back after-tax interest expense. In other words, unleveraged firms do not get a tax shield from interest payments. Therefore, to compare operating profitability between leveraged firms and unleveraged firms, after tax-interest should be added back to net income. It follows that adding back after-tax non-operating income is also correct. In contrast, it is correct to add back pre-tax depreciation and amortization as both leveraged and unleveraged firms would get a tax shield. The nature of some investments are long lasting while others are short-term The asset life can greatly affect the rate of return on capital. 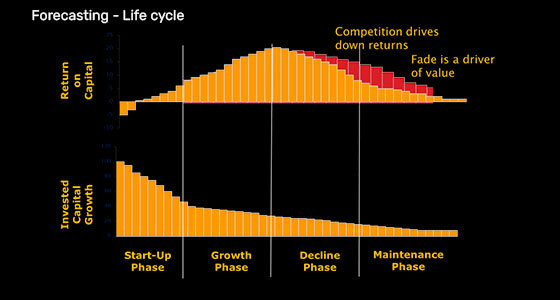 For example, steel companies have much longer asset lives than software companies. 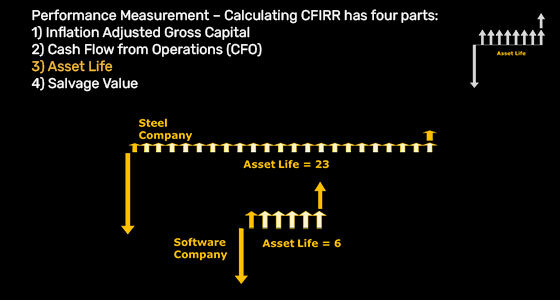 CFIRR addresses the issue of asset life variance. This differs from traditional return on capital metrics that are ratios. Mathematically ratios are perpetuities which implies cash flows go on forever which is a very poor assumption and overstates the true economic return on capital. Salvage value is the only adjustment CFIRR makes that improves the return on capital compared to traditional return on capital measures. It is an important adjustment for rapidly growing companies who often have large working capital balances just after large financings. 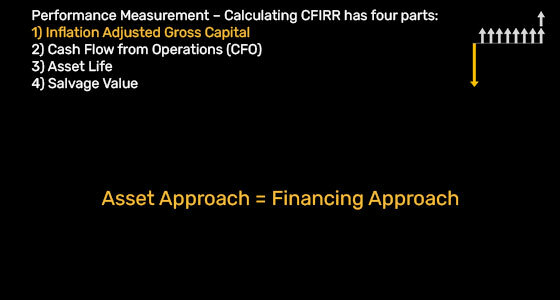 By considering the working capital as salvage value, the CFIRR gives a more accurate calculation for return on deployed capital. Our valuation methodology accounts for all invested capital including all asset, liabilities and equity but also includes a forecast of future cash flows above the cost of capital. In fact in most cases, the forecast is the largest component of the valuation. Unlike the balance sheet portion of our valuation whereby assets and liabilities are known with relative certainty (given high quality accounting and no impending write-offs), the forecasting portion of value involves the future and is therefore uncertain. 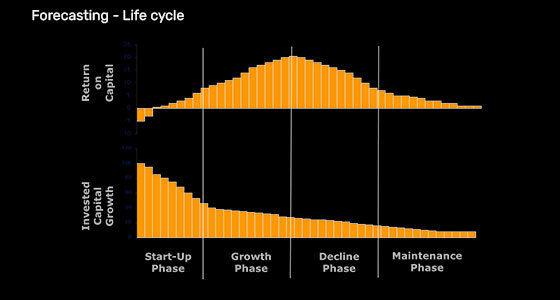 However, we can model the future using the concept of a life cycle. The degree to which a company can beat the fade adds tremendous value to the shareholders. Beating the fade is a similar concept to monopoly rents which can occur via high barriers to entry, superior technology, strong branding, first mover advantage, etc. 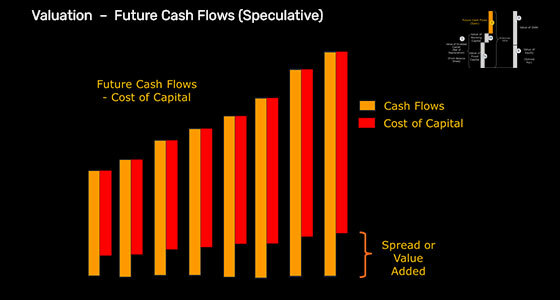 The only unknown is Future Cash Flows. 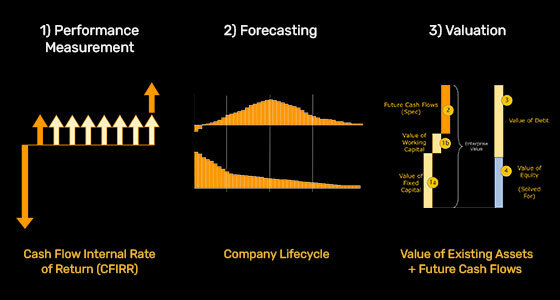 We estimate the value of future cash flows as discussed in the forecasting section. 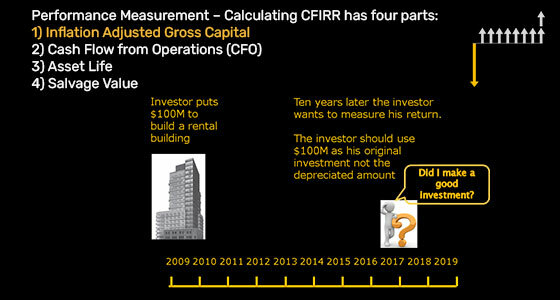 Recall that in performance measurement GROSS invested capital was the appropriate variable to use in calculating CFIRR. However in valuation, it is appropriate to use NET invested capital because we want to know how much the company is worth. If assets are old and depreciated we need to take this into account. The line items included here are the same as performance measurement for inflation adjusted gross capital with the exception that it is after accumulated depreciation. This could also be called the "value added" and is the speculative portion of value. If a forecast is a positive spread (i.e. 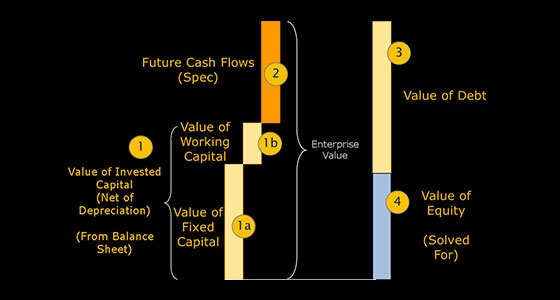 CFIRR – Cost of Capital is positive), then value is created. In this case, the higher the capital growth forecast, the higher the valuation creation. If a forecast is a negative spread (i.e. 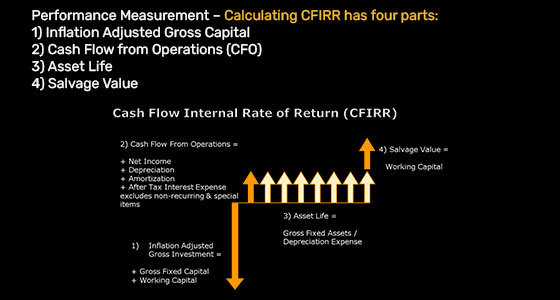 CFIRR – Cost of Capital is negative) then value is destroyed. In this case, the higher the capital growth forecast, the higher the value destruction. If a forecast is a zero spread (i.e. 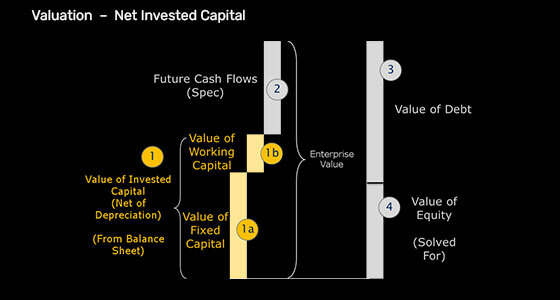 CFIRR – Cost of Capital is zero), then growth does not affect value.